I decided to stencil another pillow cover from Hobby Lobby. I purchased this one AT the Bemidji Hobby Lobby store, but they have a similar one on their website. It is a standard sofa pillow size 18" x 18". 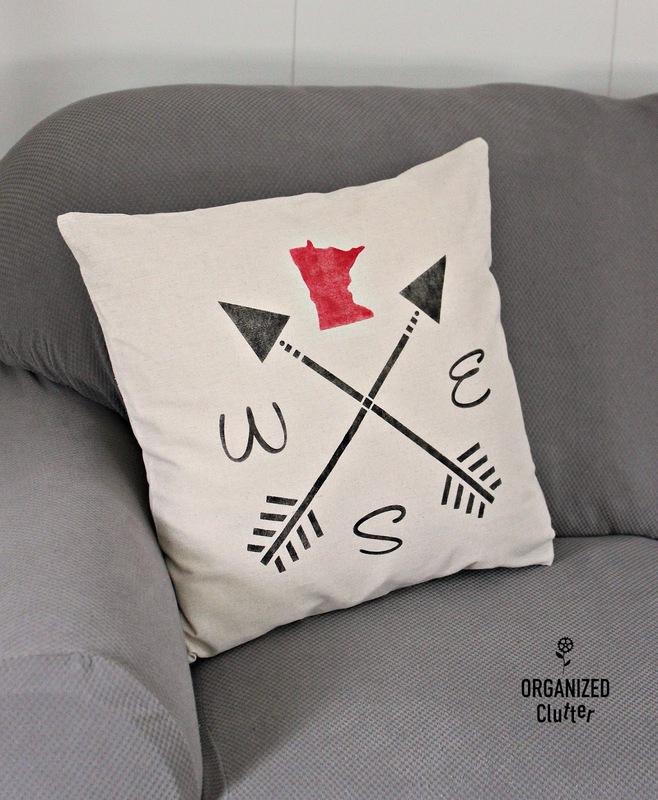 I used two stencils for a fun up north style pillow! Since I live in Minnesota on the Canadian border, I am surrounded by Up North decor. 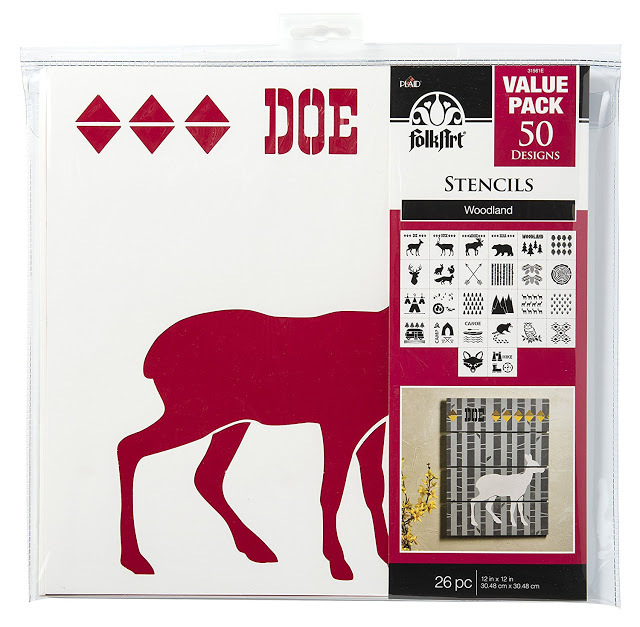 This FolkArt Die Cut Woodland Paper Stencils pack has 50 different stencils on 26 pages. The stencil pack is available at Walmart, Amazon, and possibly at other craft stores. First, I ironed the wrinkles out of my pillow cover. 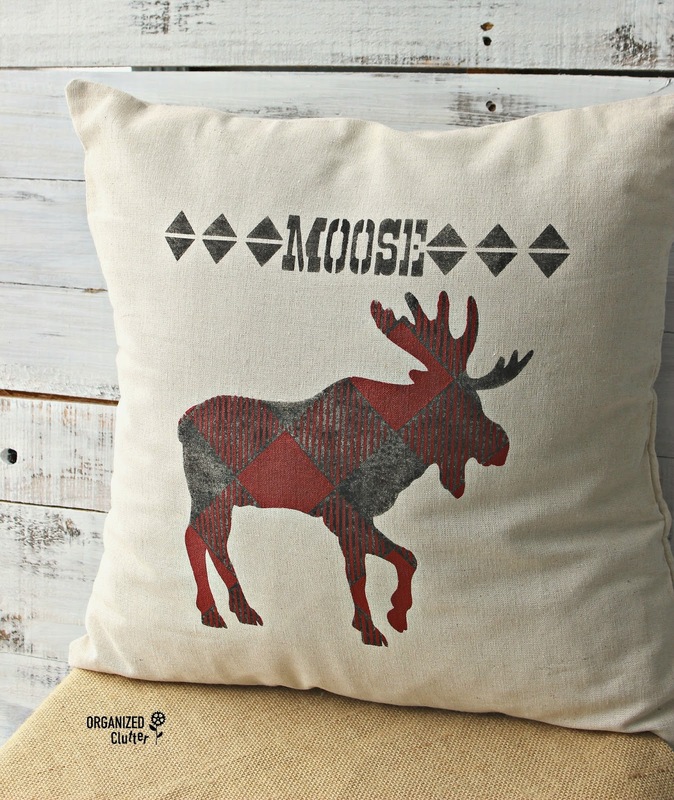 Next, I used a ruler to center the moose stencil in the center of the pillow cover. I taped it to the pillow cover with blue painter's tape. I stenciled the moose and lettering at the top with of page with one coat of Ceramcoat Select Multi-Surface Paint in Black . Multi-surface craft paint is recommended for fabric as well as other surfaces. I then laid my *Old Sign Stencils Buffalo Check stencil diagonally on top of the paper moose stencil. I forgot to take a photo before I removed the tape, and before I stenciled my pillow cover with three coats of FolkArt Select Multi-surface paint in engine red. 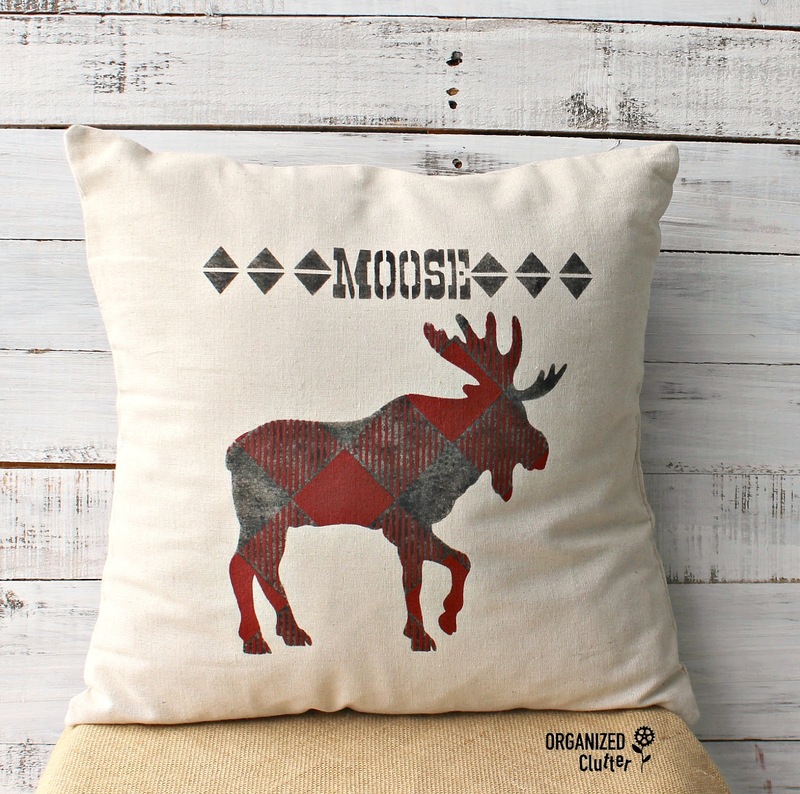 Using several coats of red, gave the buffalo checks on my moose a textured or dimensional look. I ironed my pillow cover again, only from the backside. (Don't iron directly on the paint!) You could also use a pressing cloth. I added an 18" x 18" pillow form. I really like this idea! Very cute to use the check on the moose! Ingenious! How fun! I was wondering where you were going with the buffalo check ... exceptional! I adore the dimensional look. I wish I could take credit for the double stencil idea but I saw it on Funky Junk Interiors/Old Sign Stencils! Thanks!